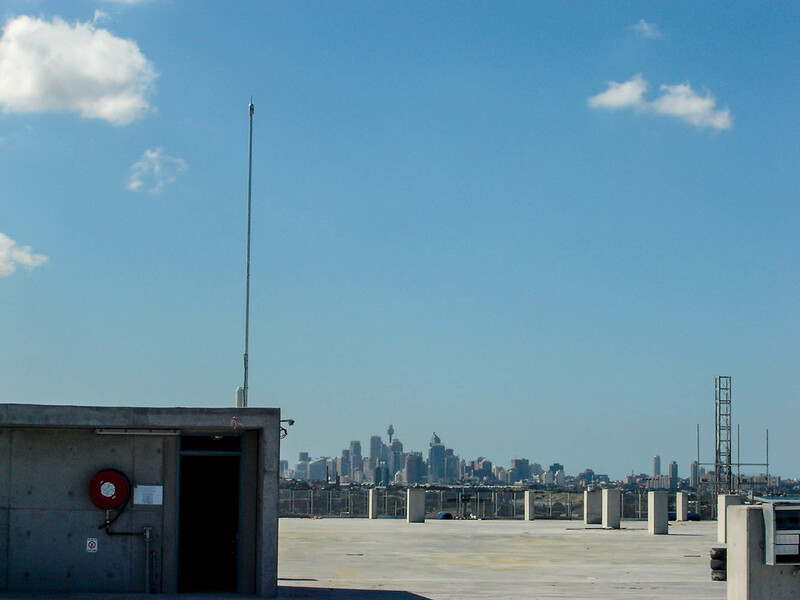 A multi-level car parking facility at Sydney International Airport enables the efficient provision of sufficient car parking to cater for forecast passenger and related activity at the International Terminal over a 10-year period. The car park provides a total of approximately 7,900 car parking spaces in two 12 level modules. The development also provides approximately 18,000 square meters of commercial floor space in two buildings attached to the parking structures for airport business-related tenancies. The structure is protected with INGESCO ESE air terminals.